OverLord II goes forth to spread it's off beat humor along with a heaping helping of not so politically correct fun. 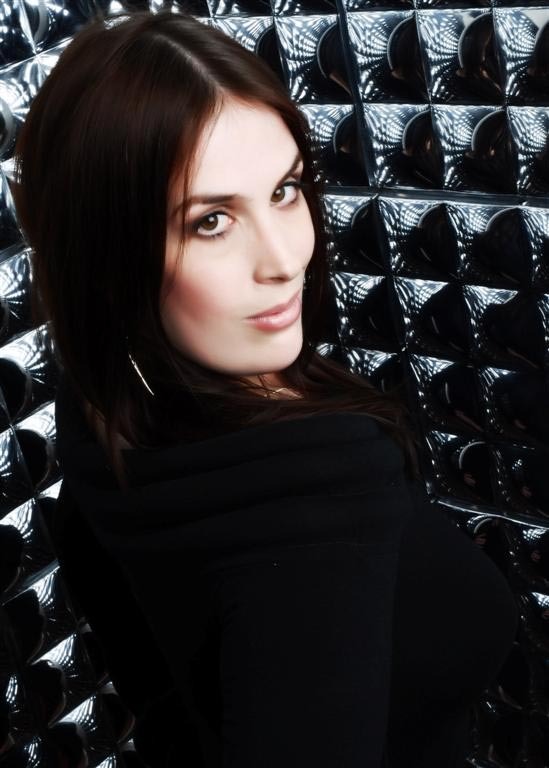 The outrageously humorous plot is penned by Rhianna Pratchett and her tongue firmly in cheek humor is one of the magical ingredients that make the touchy parodies in the game so accessible, from political issues to the environmental activist hippy like elves. What other game can make clubbing baby seals so much wicked fun? Even with a maddening camera that jumps around a bit, the game is a blast and a half to play. 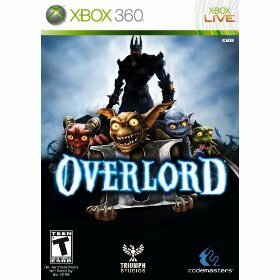 Players of the previous game will be right at home, the core game play is still here in OverLord II. Commanding hordes of small evil looking creatures, that are strangely lovable at the same time. These beasties are known as minions, and as noted they are yours to command as you roam the countryside matting out destruction as you go. The minions come in several different sub breeds of various colors and each one of them have their own abilities and also of course their own weaknesses. Greens are immune to poisons and can attack from behind for those sneaky kill shots. Reds are cannot be hurt by fire and they can also throw flaming projectiles. Browns seem to be the common grunt, good brawlers and they are the first critters the OverLord has control over in the game. Blues have the ability to heal the other minions and can also swim. As the game and adventure progresses each type of minion will be made available at certain times when they are needed to overcome an obstacle that only they may be able to handle. Minions also can grab wild beasties and use as mounts to get around the game map, and also use their mounts in attacks. My favorite are the wolves and giant spiders, forgive me it's just the gaming geek in me. 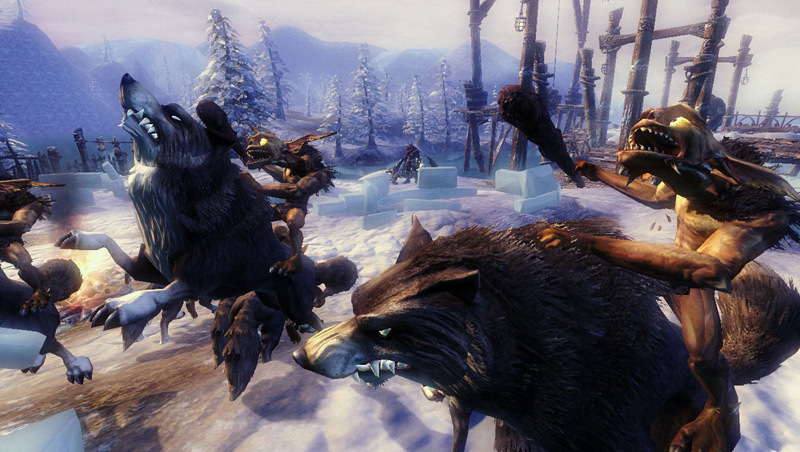 Nothing like riding down the enemy while mounted on a snarling wolf. For tougher times the Overlord can use the Possession Stone to take control of one of the minions and lead the rest of the horde. Don't get me wrong, the Overlord himself is no push over. 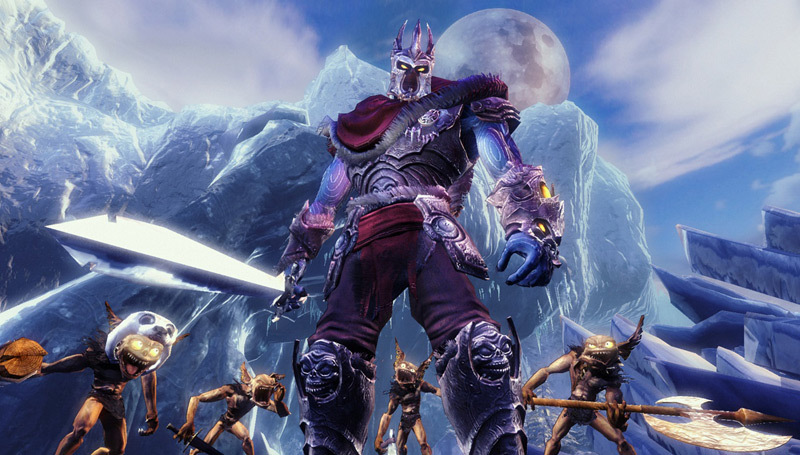 The Overlord can deal out destruction, death and hurt using several different types of weapons and armor that become available over the course of the game. Oh and if all that was not cool enough, there is magic to be released onto your enemies. The magic spells that are used can aid the minions, or cause an enemy all amounts of trouble. In single players there are two types of games to play really, Destroy or Dominate. Pretty much be evil, or be more evil really. The game play gives you a choice of either as a dominating Overlord, with people and villages falling under your control, bringing along rewards over time. Or just follow a path where it's destroy, destroy and then destroy some more. The wickedly hilarious paths are all up to you. Graphics and sound are beautiful and take full advantage of the graphics and sound abilities of each platform. While the single player game is a blast, there are several multiplayer options in Overlord II. 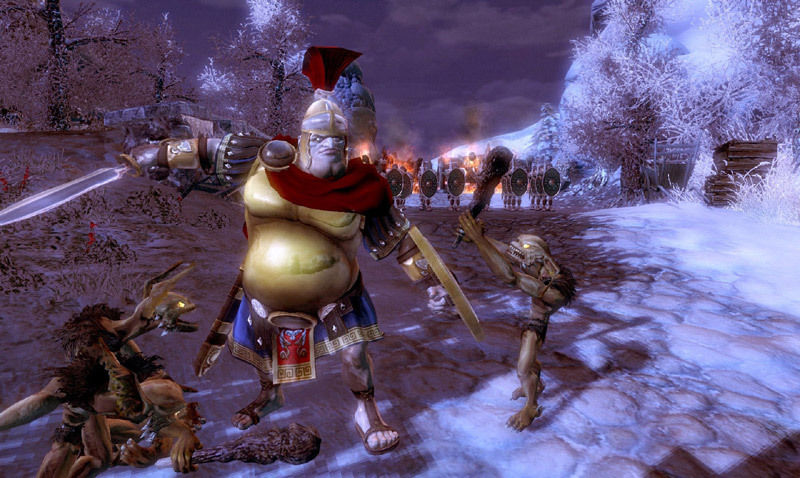 The multi player campaigns include versus modes and co-op. Which can be played online or offline. The types of multiplayer are Arena Survival, Kill A General, Treasure Hunt, and King Of The Hill/Capture The Flag. Pretty much the standard multiplayer mayhem, but none the less fun. As the saying goes, here me now, but believe me later...after checking out the demo for either the PC, Xbox 360 or PS3, you will be getting the full game.